Hair transplants carried out by trained professionals can serve to dramatically improve a person’s emotional well-being and confidence. We always have our patients’ best interests at heart and it is for this reason that we are very honest about possible scarring after a hair transplant. The type of scarring depends on the technique used and as such may affect a client’s choice as to which method of surgery they opt for. What is hair transplant therapy and how is it done? There are two main types of hair transplant surgery used both in our clinic and throughout the world. These are Follicular Unit Transplantation (FUT) and Follicular Unit Excision (FUE). The method of FUT requires the removal of a donor strip of hair from the back of the head. This thin strip is then cut into smaller follicles and transplanted onto the required area. Using the FUE extraction method, hairs are removed from the donor area one by one using a punch tool. These are hairs are then transplanted into the area of thinning hair. What type of scarring should I expect? 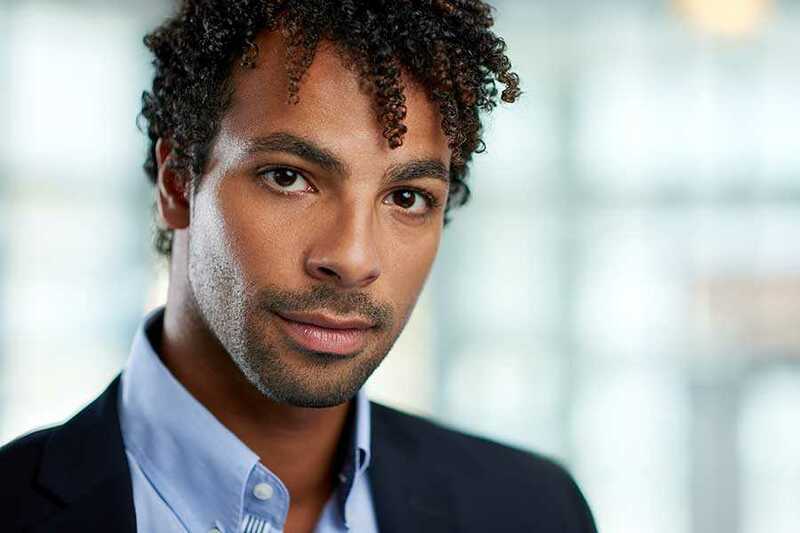 Both methods of hair transplantation carry a risk of scarring but our primary aim is to create a natural head of hair without any obvious signs of surgical intervention. However, due to the nature of the procedure light scarring will usually occur. Depending on the method of surgery you choose, the type of the scarring will differ. As a result of the strip method of donor hair removal, FUT creates a linear scar on the back of the head whilst the individual removal of hair follicles in a FUE procedure leaves behind multiple small dot shaped scars. The type of hairstyle a client favours may determine the procedure that is best for them. For example, a client who prefers a very short haircut might choose FUE as the small circular scars are spread out and less visible, meaning they are less likely to be noticed. FUE also allows for fast recovery and hair growth post transplant. When we are carrying out removal of a donor strip during an FUT procedure we ensure that there is minimal damage and scarring to the donor area. We also use a trichophytic suture to close the wound, which is a technique designed to limit any scarring as it allows hairs to grow through the scar, reducing visibility. Following any procedure, patients are also given an aftercare pack, including specialist shampoos to aid healing and recovery. Here at The Wimpole Clinic, we pride ourselves on offering all the information a client needs to get the full picture of how their transplant is likely to progress. Why not call today to find out more about the possible treatment options for you?